This lovely family home has everything you could wish for: light, space, functionality and comfort. It offers great value in a top location, with all amenities nearby: schools, university, medical and hospital facilities, golf course and sports parks. 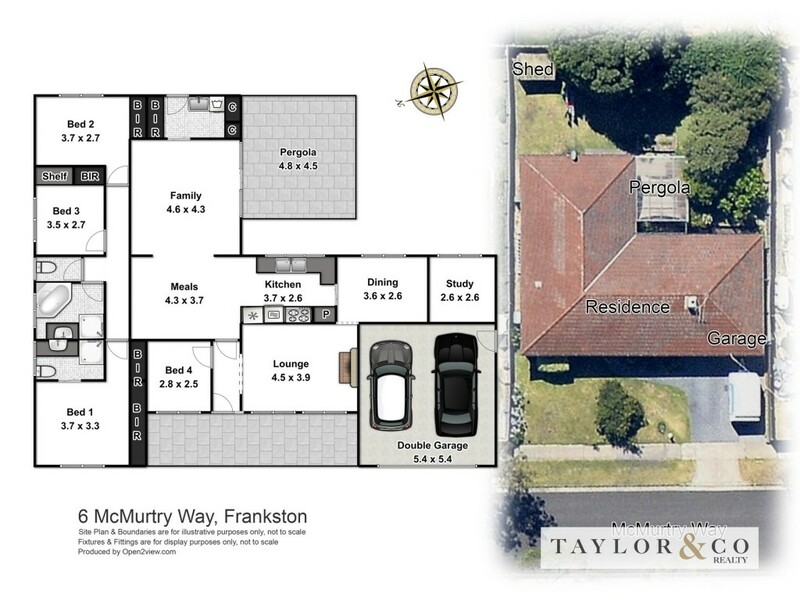 Just minutes' drive to Frankston's beautiful foreshore, bustling commercial centre and railway station. Maintained by its original owners in mint condition, it provides welcoming spaces for the entire family. Be charmed by the light-filled formal lounge with its pristine open fireplace, exposed brickwork and timber. Velvet curtains on brass rods add a cozy touch of class. The theme of light continues throughout, with full-length 10-pane windows in every room. Enjoy the sprawling L-shaped heart of the home where the whole family can hang out without feeling cramped: functional Tasmanian oak and pine kitchen, large informal dining and spacious lounge. Four bedrooms (BIRs, master with roomy ensuite), generous family bathroom (separate shower, corner spa bath and Tasmanian oak vanity) and separate toilet form the bedroom wing. Adding a further dimension of spaciousness is the large laundry with great storage, separate formal dining room, and study or 5th bedroom. The lovely ambience of space, light and privacy continues outside to the covered, paved outdoor terrace, and securely fenced private rear garden - a ready-made playground for children. In addition to the open fireplace, the home is warmed and cooled by a central reverse-cycle split system. Ducted central heating is in place, simply requiring a new motor. Generous DLUG. This is a must-see property to move in and enjoy, or to update and add further value.